Chur is the oldest city in Switzerland and one of the most authentic! The car-free mountain city in the heart of the Alps is very charming and we recommend a visit. 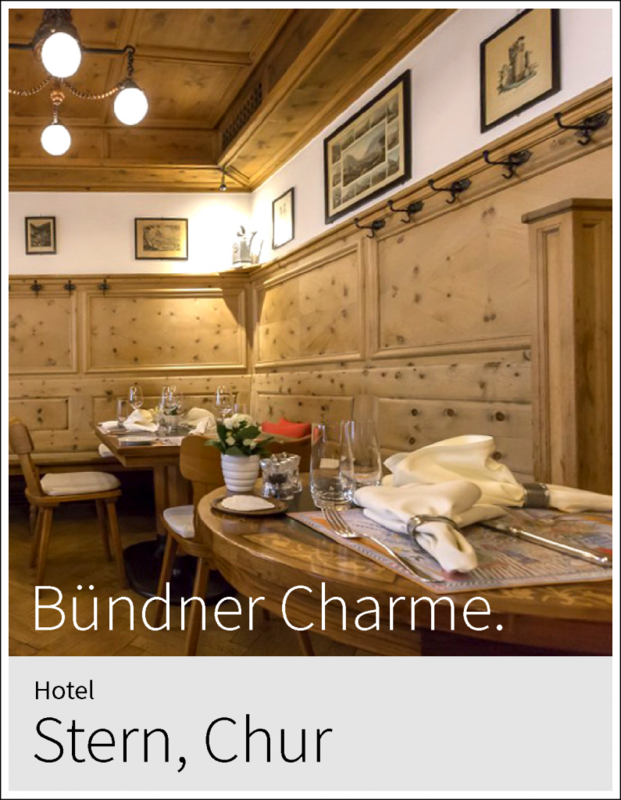 Especially if you are traveling on the Bernina Express and or the Glacier Express you will appreciate a night in Chur . Or if you are planning to explore the Canton of Graubunden it serves as the natural gateway. 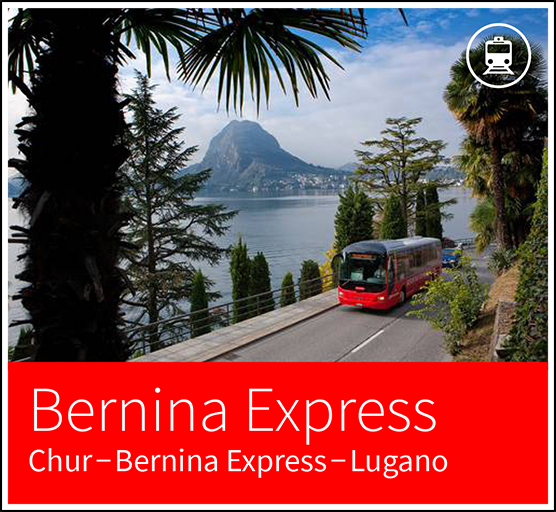 The Bernina Express is a panoramic rail journey from Chur Switzerland via Tirano in Italy back to Lugano in Switzerland. Travelers will pass UNESCO protected viaducts and go through tunnels. After passing St. Moritz and Pontresina you will ascend over the Bernina Pass before descending via Tirano (Italy) to Lugano. The memorable train / bus combo excursion connecting the middle and the southern side of the Alps takes 6 hours and you will have time for lunch in Italy. During the last 20 years Chur has been continuously renovated. You will find romantic squares and corners, winding streets, alleys and a lot of history. It is especially attractive since you can explore the Old Town on foot now free of traffic. A system of red signs all over the city directs travelers to the main sights. Chur Tourism is offering guided tours in various languages and durations. Chur Switzerland is also an important Episcopal center. Its Courtyard and Cathedral are fortified and tower above the city. The Romanesque Cathedral was finished in 1272 after more than 100 years of construction. Right next to it you find the Episcopal Castle and the canons’ houses, progressing downhill and ending with a tower. The 800 year old cathedral was reopened in October 2007 after many years of restoration. A pleasant walk through the pedestrianized Old Town takes you along twisting alleyways to the Bishop's Palace. The triple-nave Cathedral of the Assumption is located in the center of the courtyard. It may be described as the most significant building in the city. Enjoy diverse views of the city of Chur from a top the house mountain of Chur. The higher you climb the better views you get. There are adventure opportunities as well as hiking path in various directions. Davos is regarded as one of Europe's oldest mountain resorts. Today Davos is a city way up in the mountains on 1560m that is popular all year round. It has been attracting skiers for generations and recently gained fame as a hip snowboarding destination. Distance from Chur 90 minutes. Arosa is a small but charming mountain resort with excellent skiing. It is situated at an elevation of 1800m at the end of the wild Schanfigg Valley. Guests staying at least one night in Arosa during summer season can use the infrastructure, such as cable cars, village bus, etc. free of charge – 1 hour from Chur. Flims, Laax and Falera are also called the "Weisse Arena" (white arena) and are known by hikers and bikers in summer as well as skiers and snowboarders in winter. While German is mostly spoken in Flims, Romansh, the forth language of Switzerland, is the official language in Laax and Falera – 1 hour from Chur. Lenzerheide offers many leisure activities for visitors. Known in winter as a snow ensured ski resort, Lenzerheide is also a well visited place in summer. Situated in a high valley with a sparkling lake and surrounded by mountains, Lenzerheide is a 40 minutes bus ride away from Chur. Zurich is Switzerland’s largest city and the financial capital of the nation. Its Old Town and Cathedrals are equally beautiful and visitors will discover various different neighborhoods along the River Limmat and on the surrounding hills. 75 minutes travelling time from Basel. Bernina Express is a panoramic rail journey. Travelers pass UNESCO protected viaducts and go through many tunnels and over the Bernina mountain pass. The memorable train / bus combo from Chur via Tirano (Italy) to Lugano takes 6 hours and you will have time for lunch in Italy. Glacier Express in is a panoramic rail journey through the Alpine heartland of Switzerland, along rivers and in between mountains and meadows. The stretch between Chur and Zermatt takes 6 hours and passes by Disentis, Andermatt and Brig. Department stores and fashion boutiques are present in Chur, as well as many other shops. The car-free Old Town and the countless cozy cafés invite visitors to enjoy a leisurely shopping spree. The experience is rounded off by various shopping centers and an outlet mall on the outskirts of the city. At the Chur Art Museum you will find and will experience various kinds of art distributed in two buildings, the Villa Planta and new extension with its very different space qualities. The Graubunden Museum of History includes archaeological, cultural and folk art objects from all over Graubünden from pre-historic times, the Middle Ages, the Renaissance and Baroque periods through to the 19th and early 20th centuries. The Graubunden Museum of Nature provides a fascinating insight into the flora, fauna and geology of the canton of Graubünden. Modern special exhibitions furnish an in-depth insight into contemporary nature-based topics. Located in Bergün, right beside the Bernina Express line of the Rhaetian Railway, the new Albula Railway Museum is a must for all railway enthusiasts. Chur is located in Eastern Switzerland, 118 km from Zurich, the nearest airport. Travel time from Zürich is 75 minutes by train and approx. the same by car. By train, take a direct train to Chur in Zurich. Contact our Chur, Switzerland Vacation Guides today by visiting our Switzerland Trip Planner!